Clean sharp lines and a flawless matt painted finish is the epitome of cool urban living. 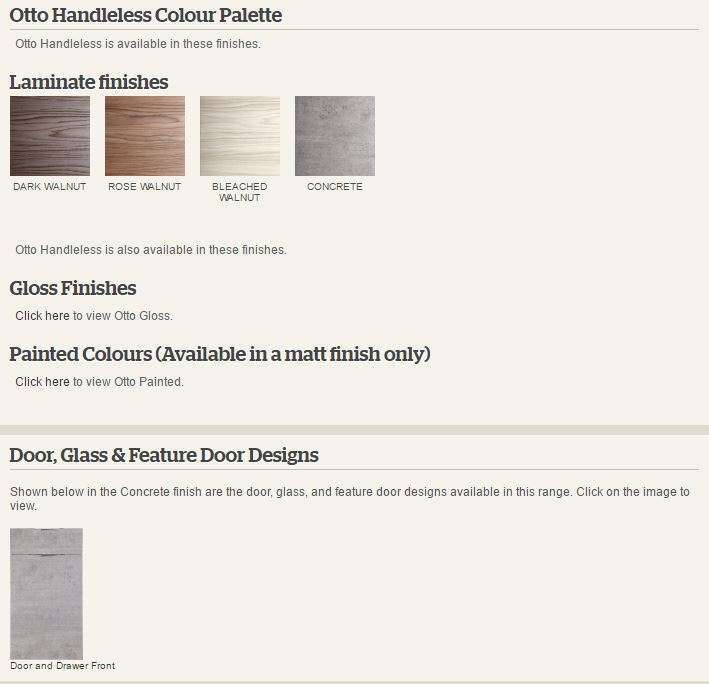 This door style is available in two standard finishes Light Grey and Porcelain as well as the painted palette or a bespoke shade. Shown here in Soft Grey and Old Navy Otto creates a stunning kitchen environment.